A number of allusions in this episode are linked to episode 93 “Down to Earth”… For a better understanding, it’s preferable to have seen or read about this episode. Aelita wakes screaming… It just only a dream. The young girl is very disturbed by her dream and tries to shake it off under the shower… Clean, she heads to Jeremy’s room…where he’s working on his multi-agent program. He spent the whole night working on it and when Aelita enters, he asks her why she’s not asleep…while it’s actually time to get up. Aelita is worried about Jeremy and his sleepless nights. However, the brainiac is ready to die from sleep deprivation if it’ll allow them to defeat XANA. Aeltia surrenders and tells him she’s going to breakfast. In the cafeteria, Odd is pigging out on croissants while everyone else seems to find them disgusting. Aelita joins them and expresses her worry. Partly for Jeremy, but especially for the bad premonition she had about the outcome of their adventure. The heroes try to cheer her up. William is also feeling worried. He realises how much damage his clone did… Jim spouts strange proverbs at him, Milly and Tamiya want to interview him about having a twin, and Matthias Burel talks to him about the supposed hoax. However what challenges William the most is the coldness our heroes feel towards him. Apart from Aeltia, all of them seem to hold resentment against him and William goes to eat alone, annoyed… Aelita scolds the others, urging them to be nicer. To her, William wasn’t responsible for anything that happened to him. 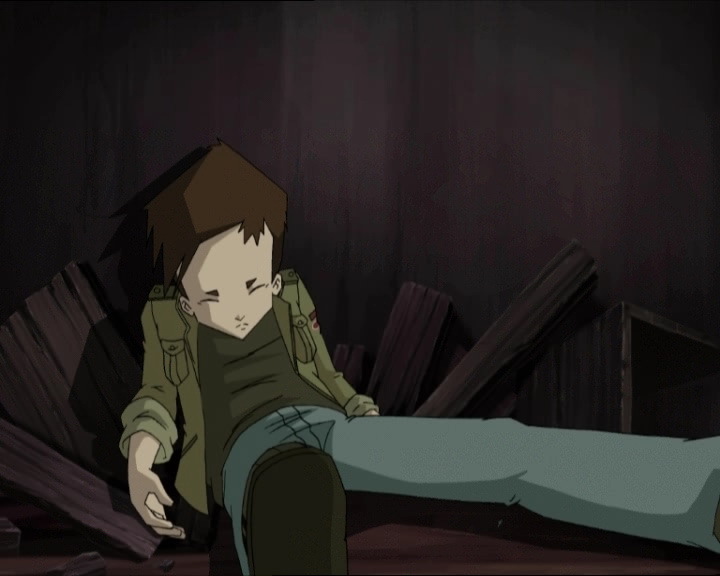 In Jeremy’s room, something happens: Franz Hopper contacts his daughter’s love interest and organises a meeting on Lyoko. This event coinciding with the completion of the muilti-agent program, Jeremy decides that this couldn’t be a coincidence… He calls the heroes with the news and goes to the factory. Arrived at the lab, Jeremy announces that Franz Hopper has reappeared to help the heroes, though he doesn’t know why… The heroes prepare for the big plunge when William appears and asks to go with them. Yumi and Ulrich’s reactions are cold as ice. 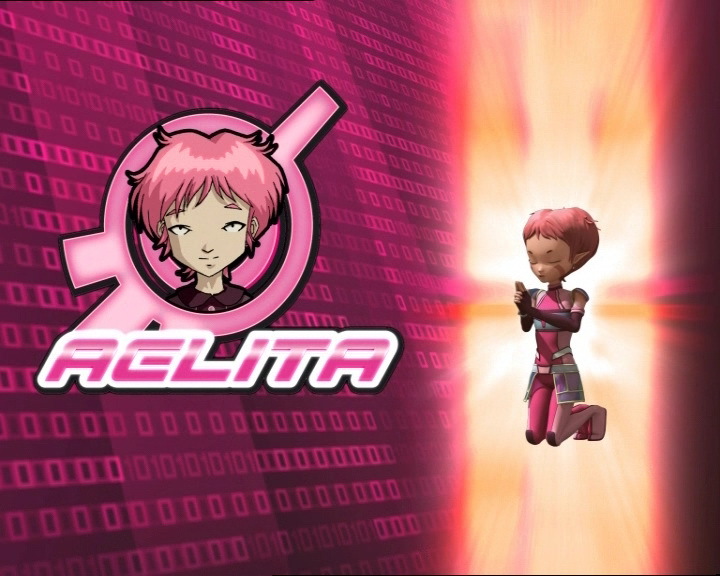 Aelita remains silent, embarrassed, and Jeremy finally decides that William will stay with him and be virtualised as reinforcements if they need him. In the lift on the way to the scanner room, Aelita has a vision: she sees her nightmare with her father disappearing again. A short time after, the heroes arrive in the Ice Sector. They head for an iceberg…with a grotto. Franz Hopper is inside. 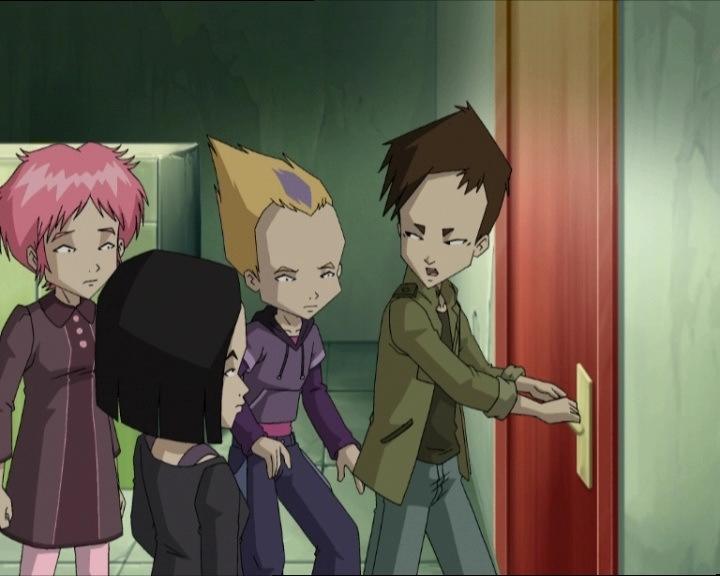 Aelita asks her friends if she can go in alone and meets her father. He can’t talk to his daughter, but transmits data to Jeremy. And what data! They’re to be used with Jeremy’s multi-agent program. This time it’s certain, the program will destroy XANA! However on Earth, Jeremy doesn’t have time to rejoice: a tower activates. The eye of XANA replaces William’s once more, and the XANAfied boy knocks Jeremy out cold before going down to the scanner room. In the Ice Sector, Lyoko shakes. The heroes are fighting Mantas. And much worse than that, the Kolossus arrives in the Ice Sector. Whacking the iceberg, it forces Franz Hopper and Aelita to leave their refuge. The two virtual beings hide in a trench, while the others fight the Mantas and the Kolossus looms closer with booming steps. 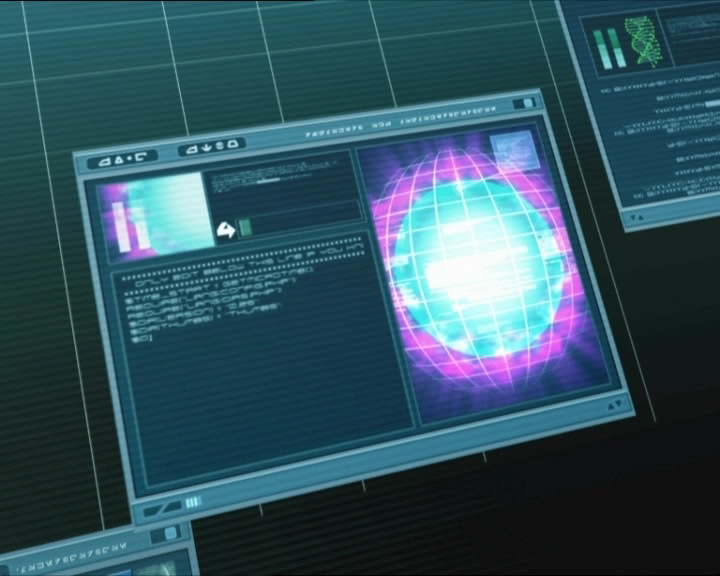 The Lyoko Warriors know something is wrong: Jeremy didn’t warn them about the arrival of the Kolossus. To go check what’s happening, Yumi allows herself to be devirtualised by the titanic monster. Taking advantage of a path by an iceberg, Ulrich Supersprints and after several jumps manages to hoist himself up onto the monster. On Earth Yumi appears in a scanner and comes face-to-face with William, busy unplugging the scanners. Not too surprised, she engages him in a very physical fight. Entering the lift, the two adversaries continue their combat in the ground floor of the factory. Nonetheless, this gives Jeremy time to wake up and find a nice surprise: Franz had time to send all the data to Jeremy. Odd and Aelita form a superb defensive duo to protect him against the Mantas, which are gradually being decimated. Ulrich reaches the Kolossus’ head, then impales a sabre in the monster’s eye, rendering it paralysed for a good moment. The transfer finished, Hopper leaves and plunges back into the Digital Sea. The heroes are then confronted with a choice: deactivate the tower to save Yumi, or go to Sector 5 to launch the program and finally vanquish XANA. They opt for the second solution and Jeremy calls the Transporter. The Kolossus regains its senses! Just as it’s about to smash the Transporter, Ulrich sends his second sword into the main target on its arm. The magma in its body’s interior seems to freeze: the monster is defeated… The Transporter is already far away, heading to Sector 5 where the adventure’s final act will take place! At the factory, Yumi is still going head-to-head with William and is violently hit. Devirtualised, Ulrich goes to give her a hand in the old abandoned rooms. He then begins doing what he’s long wanted to do: one-on-one combat against his rival in love, where he can attack in any way he wants to! Using his pencak silat, Ulrich fights very well. He manages to pin William down, despite all the superpowers the XANAfied boy uses, like the power to walk through walls. The battle continues to rage on Earth. 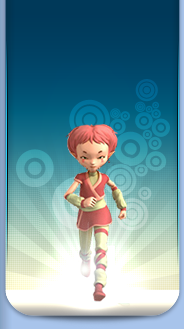 Aelita and Odd have already reached the Celestial Dome. New Mantas arrive, even more eager to fight than those in the Ice Sector. 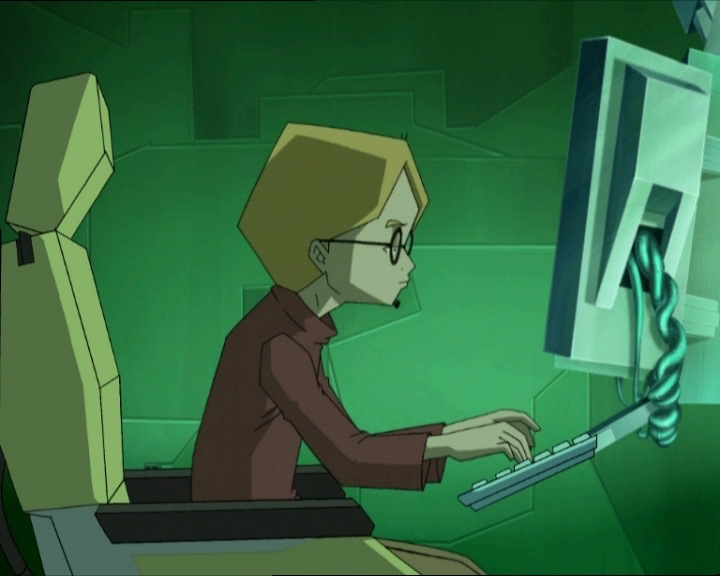 Aelita works the interface and prepares to launch the final program. A twist of fate occurs: the program is asking for more energy than they can give it. The situation becomes complicated when a Manta devirtualises Odd from behind him. Franz Hopper then reappears. 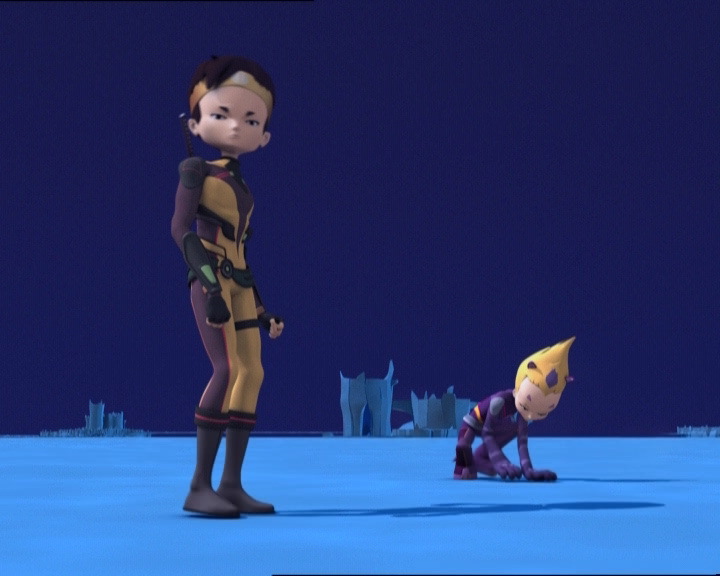 The scene is the same as in Aelita’s dream: Lyoko’s creator is being barraged by Mantas and Aeltia’s energy fields can’t destroy the monsters. However, Jeremy adds something: he explains that Franz is sacrificing himself by transmitting the energy they need. 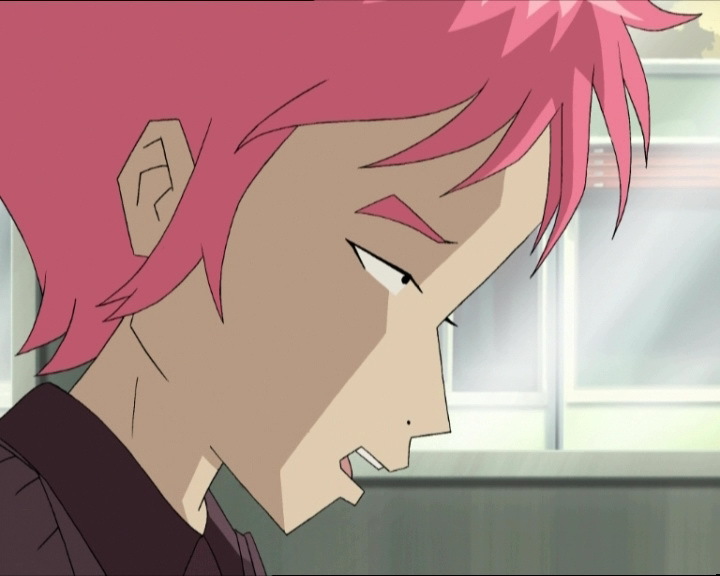 He begs Aelita to launch the program. Aelita’s decision is torturous. She can’t abandon her father, even if XANA’s end depends on it. As her energy fields are lost in the void, the humanoid makes her choice. Franz explodes, like in her nightmare, and Aelita places her hand on the interface to launch the anti-XANA program. 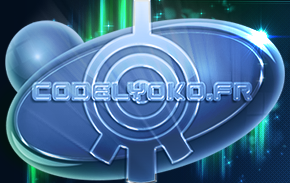 From the Core of Lyoko materialise small white agents that begin to float rapidly and leave the room. 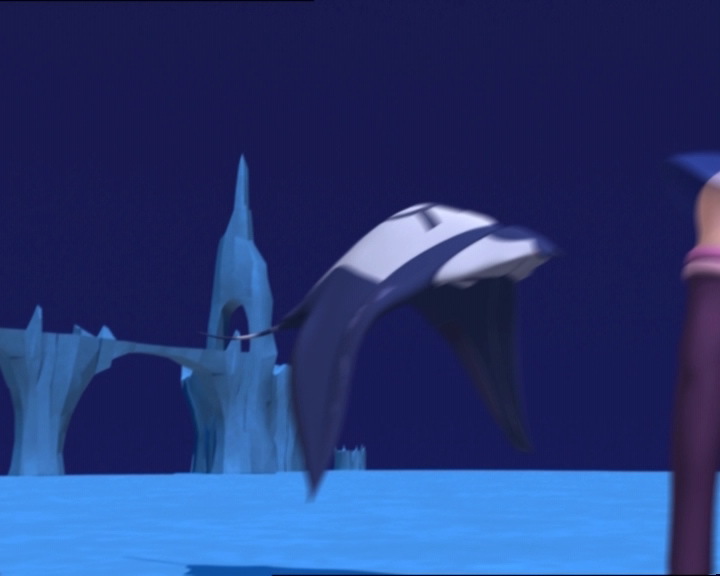 Once in the Celestial Dome, they disintegrate the Mantas, before spreading out all across Lyoko, radiating the world in a white light and deactivating the tower. Jeremy announces to Aelita that they’ve won, XANA is gone for good. - Death of the Kolossus. - Death of Franz Hopper. - Destruction of XANA by the multi-agent program developed by Jeremy and completed by Franz. - Fourth time Aelita wakes screaming. - William says he has a score to settle with XANA. - Ulrich thinks it's Williams fault that he was caught by the Scyphozoa and has long dreamed hurting him. - Odd thinks Sissi would look good as a blonde, and he doesn't care what's good for him or not when he's hungry. - The yellow button on the lift is on the left instead of the right when Yumi is thrown by William. - Just at the moment when Jeremy enters the passage in the park, he's wearing his old clothing. - The factory microphone is in Jeremy's right ear when he enters the code Scipio and when he puts it on the keyboard the cable disappears. - When William jumps Sissi at the gym he says her name in Mr Delmas' voice. - Jeremy had been working on his multi-agent program for a week before the beginning of the episode. 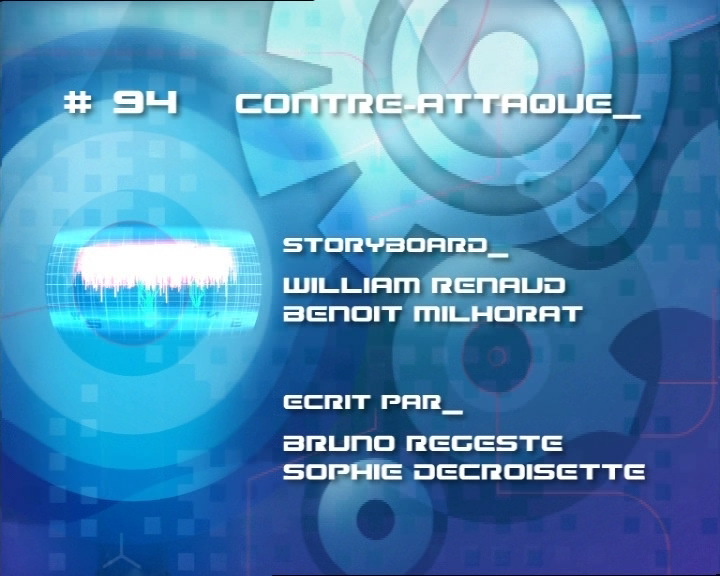 - Only appearance of the Transporter in season 4. - William is XANAfied for the first time. This contradicts what was established in episode 31 “Mister Puck” about people who have been virtualised being immune to possession. 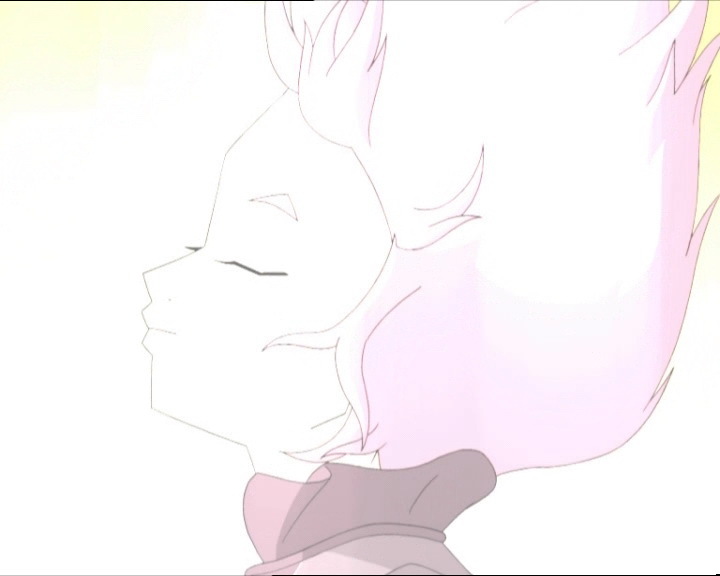 - Sixth episode beginning with one of Aelita's dreams. - Sissi listens to “Break Away” by the Subdigitals in the park. 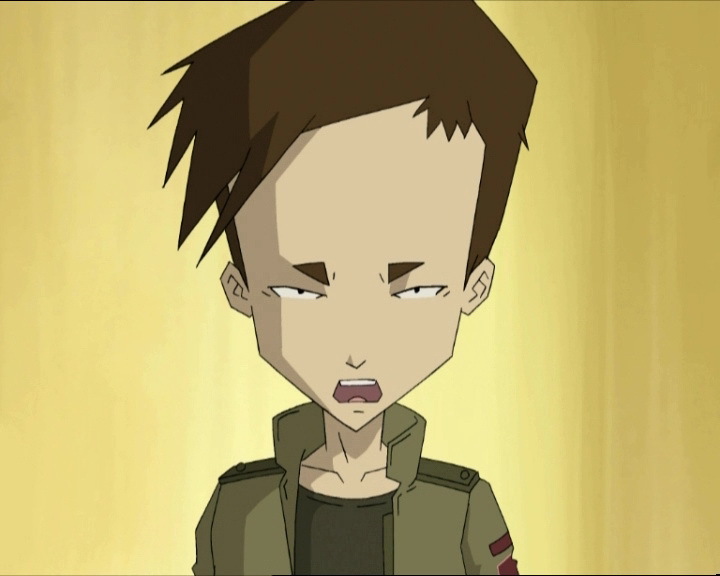 - Ulrich doesn't seem to have vertigo on Lyoko in this episode. - XANA-William walks through the doors of the lift like XANA-Jim in episode 33 “Final Mix” and XANA-Peter Duncan in episode 37 “Common Interest”. 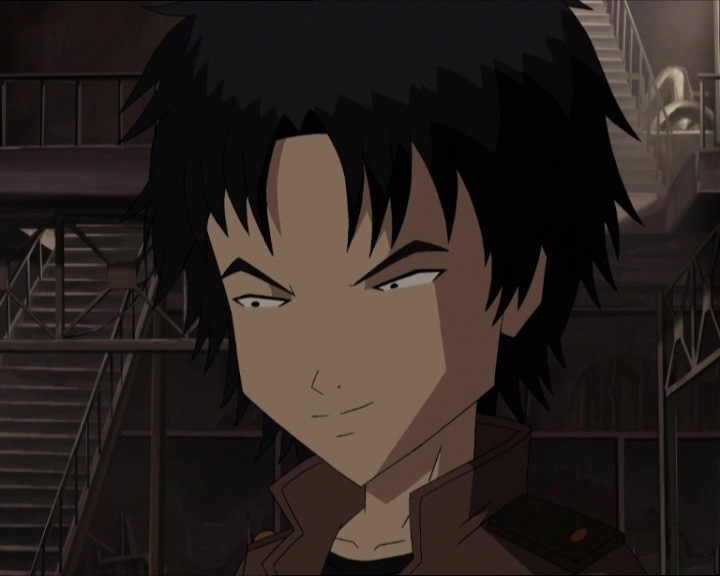 Ulrich alludes to episode 65 “Final Round” when William decided to ignore Aelita and Jeremy and go off and do his own thing. Jim: Just because you’re half as bright, doesn’t mean you’ll go twice as far! …something like that, heh! Odd: And then Sissi asked me if spaghetti grew on trees or in the ground! Sissi (in front of the manhole): But what about you? You four look like you’re in a hurry! Yumi: Uh, we’ve got ah…water polo practice, yeah! Uh, right now too! Ulrich: Yeah, haha! And we’re later too, uh…uh, we’ve got practice in the gym with uh…Jim! Odd (to Sissi): Hey, you would look really great as a blonde, suits your personality! Odd: It took a while to get Sissi’s superglue off our tails! Ulrich: Yeah, you might even get to see your father today! Odd: And Ulrich can ask him for some tips on how to get better grades in computer class! Yumi (voluntarily devirtualised by the Kolossus): For once, I have to bow down to you, XANA! Jeremy: XANA launched an attack. He knocked me out and XANAfied William!